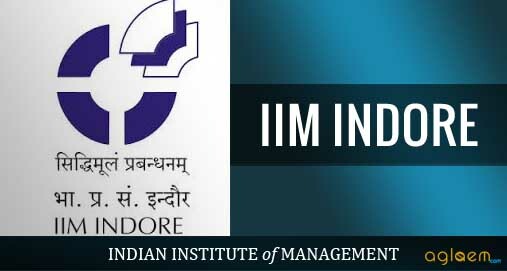 IIM Indore EPGP Admission 2019 – Indian Institute of Management, Indore has released notification from the eligible candidates for admission into One Year Executive Post Graduate Programme in Management (EPGP). Candidates have to fill the application form to participate in the Admission process. 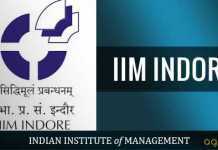 Although, a provisional list of selected candidates were recently released by IIM Indore. Candidates can check the complete information of IIM Indore EPGP Admission 2019 Application process, eligibility criteria, fee, selection process and other details on this page below. Latest: Registrations for IIM Indore EPGP Admission 2019 are now closed. Candidates seeking admission in One Year Executive Post Graduate Programme in Management (EPGP) must fill the application form available here as per schedule. Candidates can also download the application from the official website www.iimidr.ac.in. Short-listing of candidates for interview will be done based on a number of criteria like GMAT score, Academic performance, work experience etc, or as decided by the admissions committee. Schedule for the IIM Indore EPGP Admission 2019 is given below. Application Form for EPGP is available. Apply now. The provisional list of Selected candidates for admission into the EPGP programme offered by IIM Indore will be released as per schedule. The list will be available on the official website of IIM Indore: www.iimidr.ac.in or you can check the list from the link that will be given below. Selected candidates need to appear for a personal interview on the scheduled date before the final admission. 50% in Bachelor’s Degree or its equivalent in any discipline. A valid GMAT score. GMAT score should be between 5 years. Minimum 5 years of managerial/ entrepreneurial/ professional experience after graduation on submission of application. Interview of shortlisted candidates will be conducted at various locations depending on the number of candidates from that region. Short-listing of candidates for interview will be done based on a number of criteria like GMAT score, Academic performance, work experience etc, or as decided by the admissions committee. Programme fee of Rs. 20,00,000/- + Applicable Tax may be paid in three instalments with an irrevocable bank guarantee as per mentioned below dates. A commitment fee* of INR 1,00,000/- + Applicable Taxis to be paid at the time of acceptance of the offer. The fee includes tuition, course material, access to library facilities, network /computer charges, lodging and boarding. All expenses towards International travel, visa, passport, lodging and boarding (international) etc. would have to be borne by the candidate. Expenses towards academic input (international) are included in the fee. In the “SENDER TO RECEIVER INFORMATION” column available while sending NEFT, the GMAT Application Number and EPGP Reference Number are required to be mentioned. Candidates can check the IIM Indore EPGP Admission 2019 Admission Notification for more information, in Hindi and English.